The Johnson County Public Library will be closed on October 4, due to Construction issues. We are having a yard sale fundraiser for the Remembering Ja’Kari Scholarship Fund on October 6 from 8-3: at the National Guard Armory. It will be a reasonable donation only sale no items will be priced. If you do not plan to attend or cannot attend and would like to donate you may do so. You may directly deposit into the Remembering Ja’Kari Scholarship Fund at Farmers State Bank, there is an account opened there for this fund. 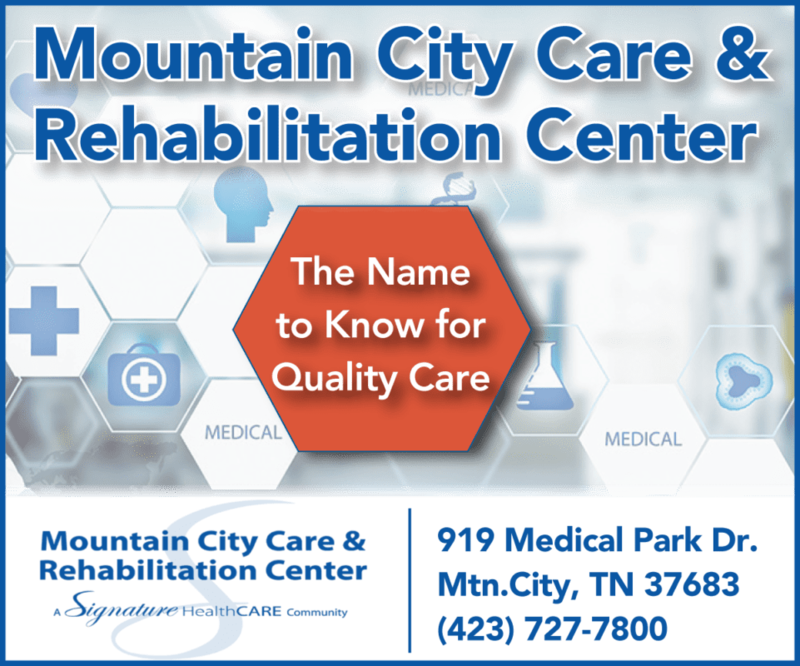 We are accepting donations of items that can be sold at our fund raiser, so please if you have any items that you might want to be rid of or would like to donate, please bring them to Beacon Finance and see Carrie Osborne, or 240 Shoun Street, Mountain City, TN 37683. We will be awarding two seniors scholarships with the money raised now and in the future in memory of Ja’Kari Phillips. Ja’Kari was three years old and was victim of child abuse and taken from us way to soon. Thank you and God bless you all. Calling all Cowboys and cowgirls. Join us for hotdogs with the fixings – chili, chips, cookie and a drink for only $7 – beginning at 4:30 pm on Sat Oct 6 and running until about 6:45. That should give you time to grab a bite and get over to the Hall for the show at 7 pm. This is happening at the Arts Center -AND if you have your “Riders in the Sky” ticket you can get $2 off your meal AND the first 50 people who buy dinners will receive a free bandana to wear to the concert! Plus there will be some surprise activities for young people in the Arts Center going on… So join us – in your cowboy outfits, if you want and have some fun before and during our upcoming “Riders in the Sky” concert. Saturday, Oct. 6, Riders in the Sky, America’s Favorite Cowboys: For more than thirty years Riders In The Sky have been keepers of the flame passed on by The Sons of the Pioneers, Gene Autry, and Roy Rogers, reviving and revitalizing the genre. And while remaining true to the integrity of Western music, they have themselves become modern-day icons by branding the genre with their own legendary wacky humor and way-out Western wit, and all along encouraging buckaroos to live life “The Cowboy Way!” . http://www.ridersinthesky.com/bio. SAdv $25/Door $28/YouthFor tickets, reservations, group or youth pricing, call 423-727-7444 and leave a message. The Box Office opens on Tuesday – Friday, 12 – 2 pm, 126 College Street. For more information: heritagehalltheatre.org. Fall festival at the Forge Creek Community Center this Saturday, Oct. 6 from 4 PM to 9 PM. Music begins at 5 PM with Megan McEwen and Larry and Brenda Barry followed by more music at 6 PM then at 7 PM music by David Hightower and the country cross band.There will be a drawing for a new Henry 22 lever action “evil Roy edition” rifle plus a 2nd prize of $100.00. Also a car cruise in. Admission is only $1.00 A homemade cake auction will be held. BBQ, hotdogs, and other food available Bring the family out for a great evening of music and fun. This FREE class will be held Saturday, October 6 at the Johnson County Farmers Market Breakfast Tent at 11:30. The UT/TSU Ext. Farm Day is for all 3rd and 4th graders in Johnson County. It falls on Monday, October 8 from 9:30 am-2:00 pm. We bus the students out to Iron Mountain Farms in Butler.While there they will visit different stations learning about the importance of agriculture in everyday life, where their food comes from and about products and by-products of agriculture production. October 12-13 ~ 26th Annual Cranberry Festival Shady Valley, TN Shady Valley Elementary School. Friday: Bean Dinner 5 pm, Auction 7 pm. Saturday: 7 am Pancake Breakfast at Fire Station followed by parade “A Time to Remember’ at 10 am . Crafts, exhibits, quilt show, food, music, demonstrations and kids entertainment. Free admission & parking. 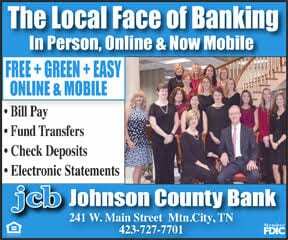 423.727.5800 or 423.739.2422. dsmith@jocoed.net. For Yard Sales or Food Vendor info Dianna Howard, 423.739.2422 (8 – 3); Crafters, Judy Gentry 423.739.3996. Parade Entry Betty Judy, 423.739.2031. Evelyn Cook will be the featured storyteller at the Johnson County Senior Center on Monday, October 29 at 11:30 a.m. She will be telling “Ghost Stories of Shady Valley.” Anyone 60 or older is invited to come and hear the story. Storytelling is offered the last Monday of every month. Past storytellers include Minnie Miller, Rick Ward from North Carolina, Brenda Johnson, Flo Bellamy, Lois Dunn, and Junior Maze. Most of the stories have an Appalachian flavor and often include local history or local folklore. Anyone interested in telling a story should contact Minnie Miller at 727-6993.